Did any of you notice last fall when New York City shut down for a week? That wasn’t on my list of likely problems for 2013. That experience brought home to me the difference between Risk Management, the idea that I have been selling for over 10 years, and Resilience. When I looked around during that week, I saw first hand what Resilience looked like. And also what it looked like to be fragile. The Resilient people and firms were going about their business. The Fragile were waiting in lines for gas and picking up the pieces of their businesses and dwellings. And that is when it struck me that Resilience is what people and businesses want, not Risk Management. So today, I am going to take you on a quick tour of Resilience. A measure of the ability of these systems to absorb changes . . . and still persist. He also talked about how natural systems going through a four phase cycle. A cycle that is amazingly like what we experience in business. 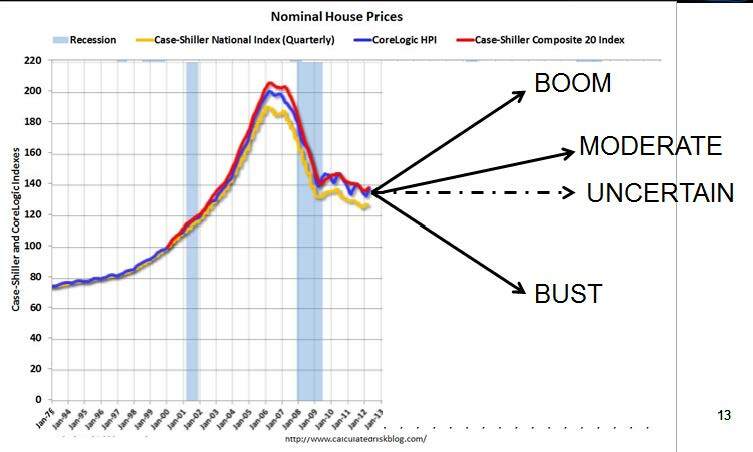 To illustrate those four phases to you, I will use a graph that you are doubtless all familiar with, not necessarily this exact graph, but you are all very aware of how housing prices have performed over the past 10+ years. 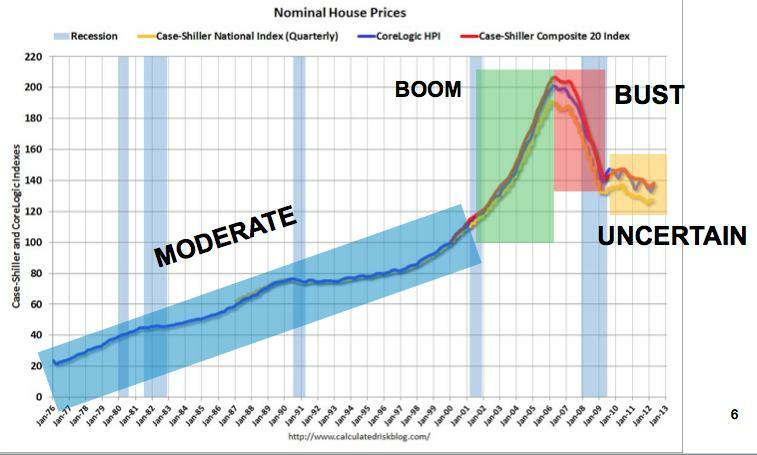 For the first 20+ years of this graph, housing prices were moderately volatile. There were some large swings as well as short term bounces in housing prices. We will call that a Moderate period. Then for a few years, prices went almost straight up. We will call that phase a Boom. Which as we all well know as followed by a Bust. But the unusual thing about this chart is that it very clearly shows the environment that we all have been struggling with for the past 3 – 4 years. A time when things do not seem to be going in any direction. An Uncertain phase. What I came here to tell you is that Resilience means something different in each of these four phases. And the firms that are the most Resilient will take advantage of the best strategy during each phase. During the Boom, the best Resilience strategy is to Grow! Triage is the strategy best suited Resilience strategy for the Bust. During the Moderate phase steadily Improving is the best strategy. And during Uncertain times, as you have all figured out the hard way is to Diversify your business. The good thing is that these four phases will be repeated and some version of these four strategies will always be the best Resilience strategy for your firm. Let me now take you beyond the one word description. The strategy of the Boom is Growth. That is not obviously a Resilience strategy. But here is where I borrow the most from the biologist, Holling. In Holling’s view of living systems, the species that had the best long-term resilience were those that took advantage of the best times to grow to be the most numerous and the strongest. So Grow your business and Grow your balance sheet during the boom. It is not hard to notice the start of the Boom. Either your sales start to jump, or else, you notice that your competitor’s sales will jump. During the Boom, your job will be to help to fund that expansion of capacity that is needed to grow. The thing to watch out for is that at the end of the Boom, many, many firms have borrowed very heavily to fund their growth, and some of them are stuck with one plant too many, possibly even an unfinished plant built entirely with borrowed funds. So for the Boom, you want to make sure that your firm can grow and take advantage of the great environment but you need to be on the look-out for the end of the Boom and help to steer your firm away from making that one too many expansionary steps. A tricky call to make and not likely to be a popular position at the time. The strategy of the Bust is Triage. Trimming away those pieces of the operation that are not self supporting and not reliably profitable. This is a drill that many of you have gone through several times now. The Bust phase is not hard to recognize, as you know. The bottom falls out, sometimes very quickly, and other times gradually over a few quarters. This Triage operation needs to be started as soon as the Bust is clearly upon you. There may not as much resistance to the Triage during the Bust. The problem is to make sure that your firm will still have the resources for growth that will come with the end of the Bust. The Biologist view of this phase is that the Resilient species is that the most Resilient species are the ones that can both survive their worst environment but also be healthy enough to successfully go around the cycle one more time. So minimal survival is not sufficient. The Moderate environment is when the somewhat boring strategy of Improving is best. In this environment the little things add up. Your engineers and quants and other expert employees are the best asset of the company. Improve is a resilience strategy because these improvements are small and carefully implemented. The Moderate environment still is dangerous and changes must be made carefully. It is a little tricky to see the start of a Moderate environment, the indications of its start are mostly negative – extreme events, both good and bad become less and less common. Those of us with a financial background will mostly feel at home in the Moderate background. If your among the older half of the audience today, you doubtless remember well the Greenspan led “Great Moderation” from 1984 to 2001, a long time with only moderate ups and downs in the economy. Our abilities to help to carefully fine tune a company to maximize its efficiency were very valuable and in demand. But it is important to realize that that very push for efficiency gradually starts to reduce Resilience and in some ways that Great Moderation with the almost 20 year period of Improve strategy created the fragility that helped to make the Great Recession so toxic. Finally, in Uncertain times Diversity is the best Resilience strategy. That means that you need to move away from the strategies that concentrated all of your investment into those things that you did best and instead limit the degree to which your firm is dependent on any one product, or territory or distributor or supplier or manufacturing process. You have also been building up your firm’s cash position. And as the Uncertain times persist, you start to see opportunities to acquire smaller firms who can help to broaden your base even further. With the Diversify strategy, you are admitting that you are not really sure what will come next. That any of your business units may be the next growth opportunity or any might well tank completely. However, you need to be aware that the Diversify mindset is toxic when the Uncertain period ends. Then you will need to shrug off the slow and careful decision-making and the undercommittment. So what is next? That will certainly vary by sector. Some sectors, like energy extraction have already entered a new Boom. But for most of us, the most likely course is for the Uncertanly to gradually reduce and for our environment to slide into a Moderate phase. That may have already happened in your sector. Have you noticed it? And when it does, you will be back in the game of promoting Efficiency and Improvement as the Resilience strategy of the firm. Slow and gradual growth of business and of margins. 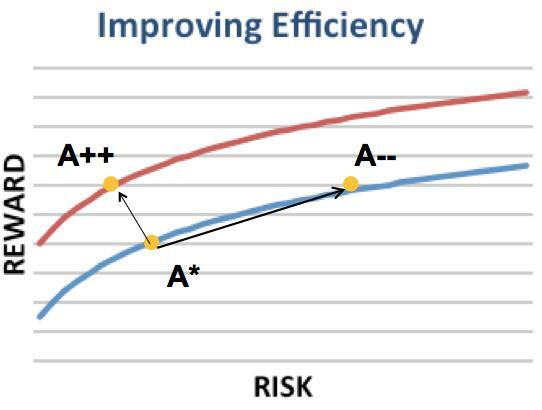 Since I expect that the Moderate environment is most likely next and because the Improve strategy that is the best Resilience strategy for that period is the strength of us financial types, I want spend just a little more time looking at how the Improve strategy works, when it is working well and what happens when it starts to erode Resilience. You all likely to remember fondly your first big win in a Moderate environment. You came in and quickly identified something that was ripe for a change. Something where the operations were highly inefficient and you made sure that things changed and a big turn around happened. You really felt that you added to company value and to your own reputation. Over time you were able to make many such improvements, on this picture, moving virtually everything on to the efficient frontier. Then you felt the need to find more wins. You were imagining that you could help to completely change the game, to move the possibilities upwards. But in some cases, what happened instead is that you did change the game, but what you did was not exactly improve efficiency of the system, instead, you started to reduce the amounts of redundant resources of the system. That improves the expected returns, but often drastically reduces Resilience. On the picture above, you wanted to move from A* to A++ and instead you moved to A–. You got the extra return that you wanted but increased the risk and reduced the resilience. Some of the slack that you removed from the system was really needed, the system becomes very fragile without it. So far I have been very theoretical here. Let’s think of this in terms of Outsourcing. Outsourcing often looks like a game changer, moving to A++. But the reduced costs of outsourcing are only a game changer if your subcontractor maintains a similar or better resilience as your insourcing alternative. If what you are getting is paying less for less Resilience, then you have moved to A–. More return but at a possibly markedly increased risk. And if you are Outsourcing something that is of primary importance to your business, then you have shifted the required key competence for your firm to succeed. If you key competence had been to manufacture Part XYZ, and you Outsource that work, then the key competence that you now need is the management of subcontractors. Some of the savings that you think that you are getting comes from the fact that you did not necessarily factor in enough cost for management of the subcontractors. And a key questions becomes whether you can be sure that your firm can keep the same degree of resilience so that it really is an A++ move and not an A—move that trades off cost for Resilience. 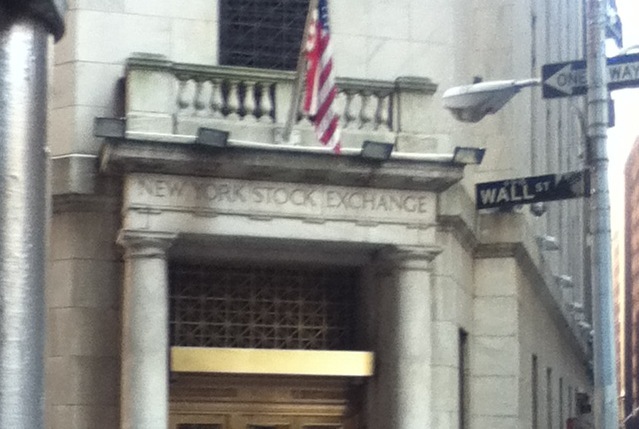 Leverage or debt is that way that we get this wrong in the financial sector where I work. In our sector, the relationship between equity capital and risk is the key to resilience. But many banks and insurers will lever up their business, increasing profitability for shareholders while decreasing Resilience. 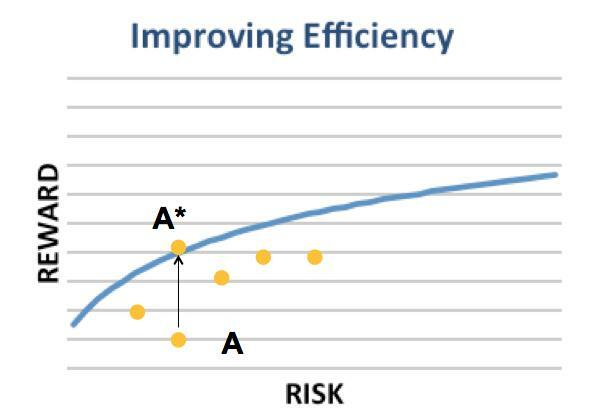 One of the key problems in even noticing this issue of decreasing Resilience with increasing efficiency is that the problem is hard to see. Resilience is clearly a corporate asset, but it does not appear n the balance sheet. Accounting gives exactly wrong signals about risk and resiliency. 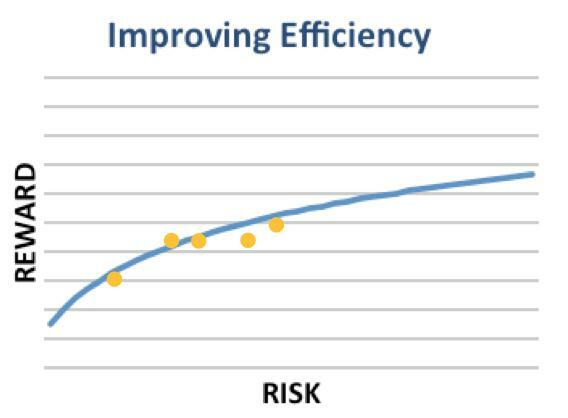 Reducing resiliency will usually be reported on an accounting statement as an improvement in financial condition. It is profitable. That is a big problem because RISKS IN THE LIGHT SHRINK AND RISKS IN THE DARK GROW. (Ingram’s Law of Risk and Light). This is usually a major part of your basic business. Grow – Big First mover advantage – popular to say that you are fast follower, but some followers get in fast enough to get the highest margin business, some delay just enough that they get none of the best business, Some are moving in just as the first movers are moving on to some other category killer. Diversify – Watch out for others who are diversifying into your market. They will heedlessly reduce margins. Make sure that you are not playing that role in some market that you are diversifying into. Improve – Arms race with competitors. Do not try to believe that cutting costs is a long term strategy for a company. Triage – Temptation to keep looking over at your target competitors. Don’t do that during the Bust. That can be fatal. You can end up following them off of the cliff. I want to say just a few words about disclosure for two reasons. First, because it is a new hot topic and second because I want to repeat something that I heard an insurer CRO say that I wanted to share. The hot topic part of this is that the SEC has recently spoken out about risk disclosures – specifically saying that boilerplate was not sufficient, that meaningful risk disclosure was required. And for the most part, all US firms risk disclosures are boilerplate. And in fact, not particularly thoughtful boilerplate. So, in advance of a major loss event, you need to make an attempt to disclose the risk that might lead to the loss. Then comes the question of disclosing risk mitigation and other risk management activities. Most companies do not disclose. That decision is highly questionable in my mind. If you are a company that is doing all that you can to promote Resilience thinking and actions, you look no different from the firm that does exactly nothing. My guess is that these decisions are made based upon a risk only analysis, rather than a risk reward analysis. However, after you have suffered a major loss, from a practical point of view, it is more or less mandatory to start disclosing those practices. I am having trouble understanding that logic tree. Maybe you do. The idea to share, that you may want to consider when you reevaluate your policy regarding these disclosures is that a perception among investors that you are acting responsibly towards your risks that is formed from your repeated disclosure of those activities would go a long way towards putting you in the position of not needing as much apology after the loss and will regain full investor confidence sooner than your competitors who do not tell such a story in years when there were no losses. Think about it, how does that sort of thing work within your companies? Holling said that the species that were the most resilient grew enough when the environment was right so that there were still enough members left at the end of the bust. And they also were able to avoid making any fatal errors in any of the other environments. ERM at its best can a process for overseeing all of the financial management processes of the firm. To accomplish this, ERM needs to be a light touch in the picture above where the arrows in and out of ERM indicate the movement of information from the various processes and the facilitation of coordination and quality control moving back. ERM can provide help to those responsible for the processes by sharing insights gained from a cross business enterprise perspective and expertise from a subject matter concentration. ERM can help to build out these processes when they are weak or missing but to be fully effective, ERM needs to stay lean by passing the management of those processes to other areas. At its worst, it is a drag on as many of those processes that it actually touches. When ERM is a drag, the arrows around the outside of the diagram above are removed or weakened substantially so that everything flows through ERM. At first, only a few of the outside arrows are missing but over time ERM takes on a more and more central role to all financial decision making. This creates a dual management structure. Or it can merely be a waste of time and money that does not disrupt the rest of the firm. Under this scenario, the lines between ERM and the important financial functions are partially or totally missing. ERM has an autonomous role, for example to create and maintain an internal model for compliance purposes.